Charles G. Moore “Chuck” is a 1987 graduate of the University of Florida where he earned a Bachelor of Science degree in Business Administration. In 1991 Chuck graduated from Stetson University College of Law with a Juris Doctorate degree. Soon after graduating from law school he accepted a position as a criminal prosecuting attorney with the Sixth Judicial Circuit of the State of Florida where …he gained extensive litigation experience. Mr. Moore’s practice is now limited to the representation of consumer debtors in Chapter 7 and Chapter 13 bankruptcy cases. 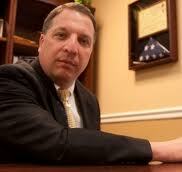 Mr. Moore has been practicing law in excess of 20 years and has handled approximately 2,000 bankruptcy cases. He is an active member of the American Bankruptcy Institute, the National Association of Consumer Bankruptcy Attorneys, The Tampa Bay Bankruptcy Bar Association and the National Association of Chapter Thirteen Trustees. Mr. Moore regularly performs numerous hours of continuing legal education, all of which are specifically limited to current issues facing consumer bankruptcy debtors.